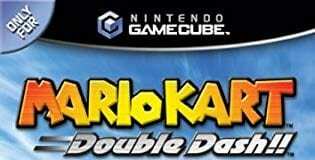 Mario Kart: Double Dash delivers hours and hours of fun, and is simply a fantastic game. Mario Kart 64 is an all-time great game, and the best entry of a stunning series. WWE 2K19 provides the best wrestling videogame experience in a good five years. WWE 2K18 is far from the perfect wrestling game, or even a great wrestling game, but it is an improvement over 2K17 & still delivers a lot of entertainment. If you already own Dark Souls, then you should probably hold off unless you’re an avid fan of the series like I am. Royal Rumble is almost always overshadowed by the more famous WWF games on PS1 and N64. Mind you, there's a good reason why: Royal Rumble is nowhere near as good as any of its three counterparts from that year, but that isn't to say that it's a completely bad game. If you can appreciate it for what it is, nearly 20 years later, War Zone remains one of the most fun wrestling games ever, and a vital chapter in the history of wrestling - and especially WWF/WWE - videogames. 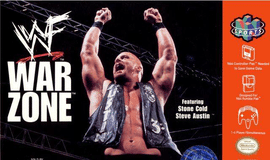 Although it hasn't aged well, WWF Attitude remains a milestone in the history of wrestling videogames, and a good climax to the final era before the THQ era for WWF/WWE videogames. WrestleMania 2000 was awesome, and a perfect snapshot of wrestling's greatest ever era. It wasn't quite flawless, but it was as close to perfection as one would expect; if the modern WWE 2K titles were as good as No Mercy, no fans would ever be complaining. A phenomenal wrestling game that all diehard fans should play.